Our Company is searching for a Professional Prep Cook who is passionate about working with the freshest seasonally inspired ingredients available and who is creative enough to transform them into deliciously healthy delights for our guests. If this sounds like the type of Prep Cook position you have been desiring, Apply Immediately for our location in Orlando, FL. We are looking for an experienced, creative, dedicated Prep Cook with a strong sense of hospitality and a passion for providing exceptional food and service. At least two years of experience in a similar role preferred. A culinary education foundation and good tenure at quality restaurants are all pluses. If you are an enthusiastic and dynamic Prep Cook who is up to the challenges and rewards this position offers, Apply Today for our location in Orlando, FL. Job Description: The Prep Cook would assist the Chef in directing the work of the employees within the department. The Prep Cook would assist the Chef in meeting restaurant sales plan. Prep Cook would ensure quality food from raw ingredients to presentation, which includes prompt expedition of food from kitchen and delivering quality food by maintaining F.A.C.T. Tasting scores of 90% or higher at all times. Assisting the Chef in completing inventories, which includes maintaining organized storage areas. Maintaining Company sanitation, safety, and security procedures and exhibiting excellent sanitation practices. Assisting the Chef in completing employee schedules on a timely basis based on budgeted labor cost. Working toward completion of Culinary Management Certification Program. The Prep Cook would present a professional and ethical management posture, which includes consistently exercising fair and honest judgment and assessing problems in a professional manner in order to gain the respect of employees and co-managers. Cathryn Keifer has over 12 years of experience in the food and beverage industry with 10 of those years in a management role. Her background ranges from upscale dining to fast casual and quick serve. Cathryn has worked every area from FOH to BOH, even catering sales and marketing. Customer service and people have always been her primary focus making Gecko Hospitality an ideal career. 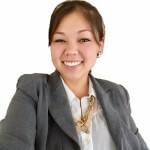 Gecko Hospitality has allowed Cathryn the opportunity to connect candidates with thriving companies that align with their career goals and be a part of improving their lives.